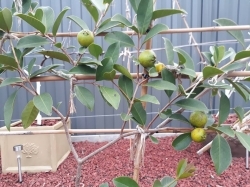 Hi, my persimmon trees survived the hot summer here in the Hunter area and I am fighting with possums and birds for the ripening fruits.Can you tell me why they have those brown spots and lines inside? 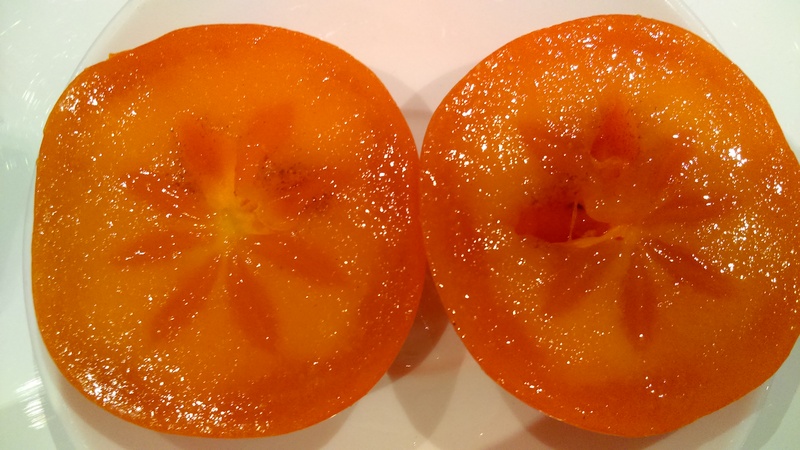 The internal blemishes with your kaki fruit is called internal staining. It's a minor defect and shouldn't affect the flavor of the fruit. It is caused when the tannin cells have burst and oxidized inside the fruit. There is no known prevention to control these minor blemishes inside the fruit. Thank you very much for the persimmon fruit from your garden that you have given to me (Dai Dai Maru-A). They all ripened at the same time today. I can tell you that the flavor is superb. The consistency is like a ripe mango minus any hint of acidity and fiber. The sweetness is well balanced neither lacking nor overpowering. We scoop out the juicy orange red flesh direct from the skin like you would of a delightful creamy ice cream in a bowl. No artificial ingredients added. 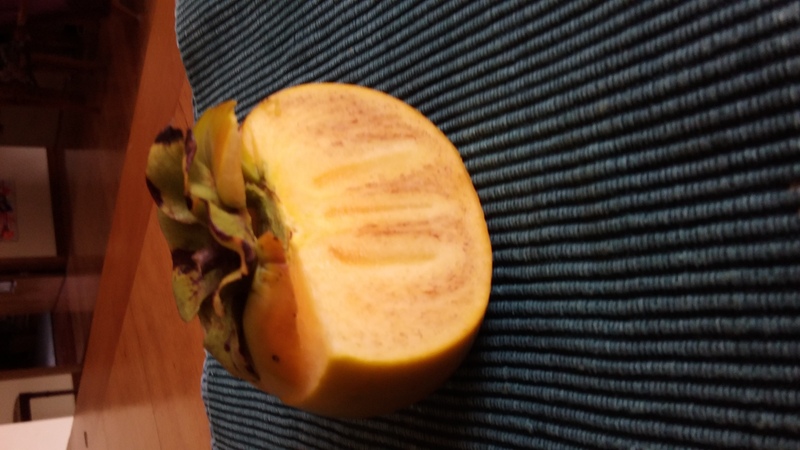 Just the natural goodness of a freshly ripened persimmon fruit - luxurious I would say. Thanks Dave for the offer I would love to have one if you have time to graft for me. I had figs as well namely; LSU Gold, Black Picone and Dwarf brown. LSU gold was the most prolific with two harvest of good quality figs per year. The taste is also excellent like a hint of strawberry jam.